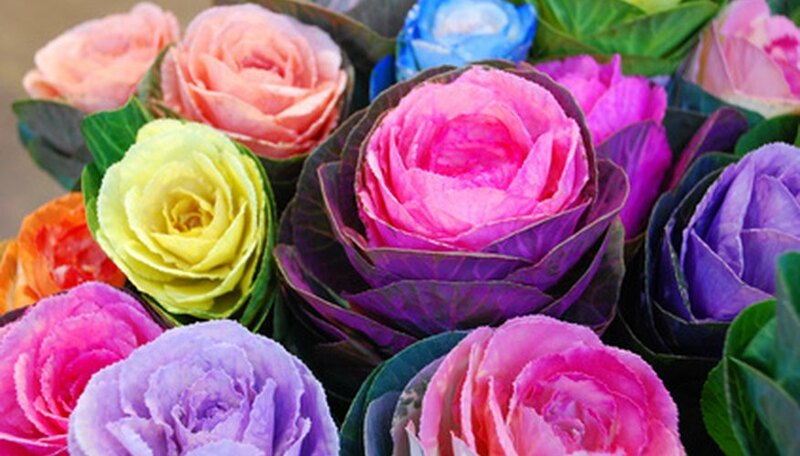 Paper flowers can be used for everything from weddings to baby showers to simple crafts for children. They can be as colorful, as large and as elegant as your imagine allows. Economical, easy-to-make paper flower creations make beautiful gift package decorations, napkin rings, mobiles and more. Tissue paper roses are easier to make than you might think and offer an economical way to create a bright and eye-catching display. Choose tissue paper in the color you want for your rose and stack the tissue paper so that you have eight layers of paper. Cut eight 3-inch squares of tissue paper. Cut green tissue paper into four 3-inch-long rectangles each about 2 inches wide. 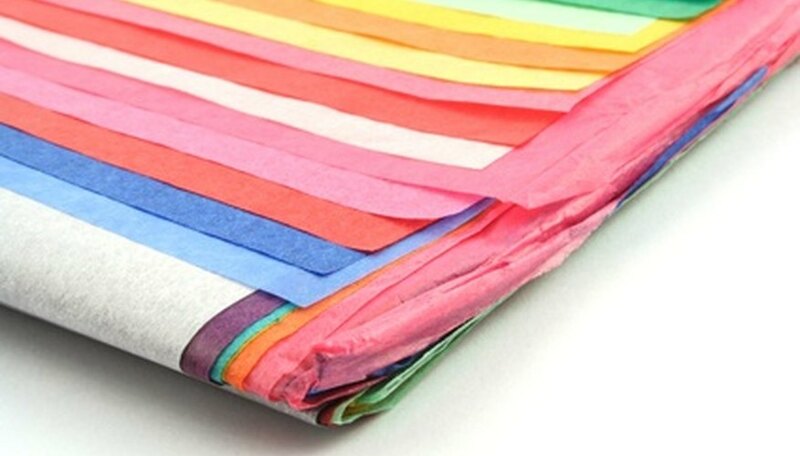 Use scissors to round three of the four corners on a stack (about four sheets) of the colored tissue paper squares, leaving one corner with a point. 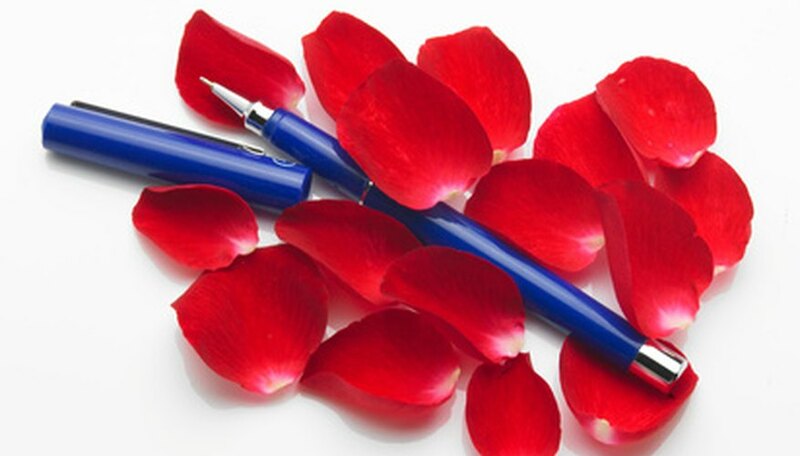 Hold the stack of petals by the pointed end and tightly roll one of the curved edges around the pen. Scrunch the edges of the petal toward the middle of the petals while they are still wrapped around the pen. Slide the stack of petals off the pen. Notice that their rolled and scrunched shape stays in place. Wrap the opposite petal edge around the pen and repeat Step 2. Separate the stack of petals. Fold the long wire so it is thick enough to resemble a real rose stem (folding it about three times will give you an 11-inch stem). 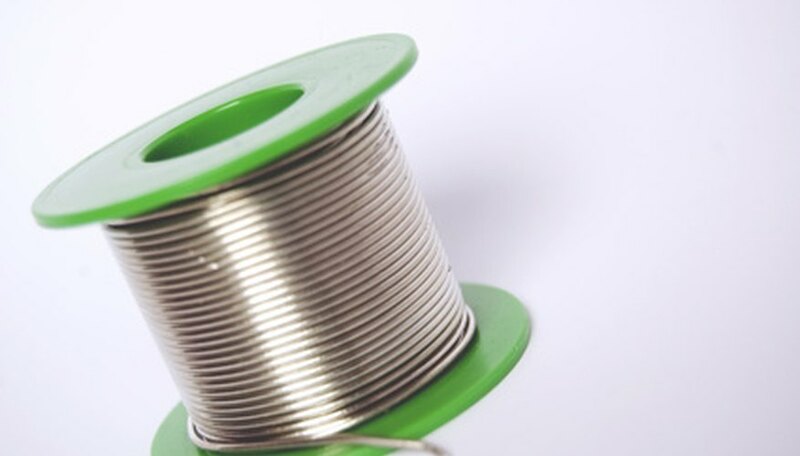 Squeeze the pieces of wire together so they form one thick stem. Make sure the folded end of the rose is tightly squeezed together so it will fit inside the rose bloom. Starting from the inside of the rose, bunch the center petals quite closely together around the top of the stem wire. Flatten the petals out as you work toward the outside of the rose so it looks like a rose in full bloom. Make sure all the bottom petal points are at the same level so they hold together and stay in place when you wrap them all with wire. Grasp the pointed ends of all the petals and wrap them with the thin wire. Twist the wire tightly so the rose holds its shape. Clip off any excess wire after it is securely wrapped around the rose. Cut the green tissue paper rectangles into pointed ovals shaped like leaves. Roll and scrunch the leaves around the pen just as you did with the petals. Separate the leaves and keep them handy as you make the stem. 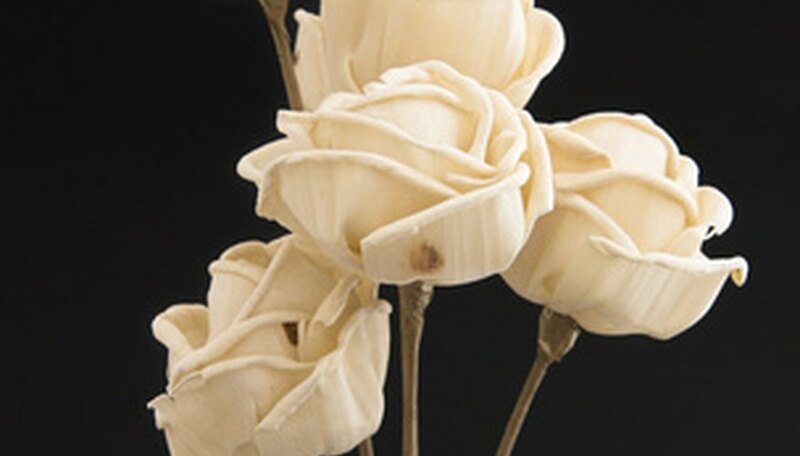 Wrap florist’s tape tightly around the top of the wire where the bloom is attached, covering the bottom of the bloom petals and the thin wire that holds them together. Continue wrapping the stem from top to bottom, incorporating the leaves along the stem as you go. Stretch the tape as you go, since this is what makes it stick to itself. If you plan to use your rose in an application where a stem is not necessary, just form the rose petals as in Step 5 and wire them together as in Step 6, without the stem. You can still wrap the bottom of the rose with florist’s tape to hide the thin wire, if you wish. To make a napkin holder, use lighter-weight wire cut into a shorter length. The rose is attached to the end of the wire the same as in Step 5. Bend the wire into a circle to make a napkin holder with the rose at the top of the circle where the two ends of the wire come together. Lana White has a writing career that spans more than 20 years. Her articles have appeared in "Dayton Daily News," "Cincinnati Enquirer," "Leatherneck" magazine, "Discover Dayton Magazine" and many trade journals. Her commercial ad copy has aired across Cincinnati and Dayton, Ohio television and radio stations. White studied at Miami University.